We are delighted to offer this new high specification air conditioned three bedroomed apartment in the exclusive area of Vranici. 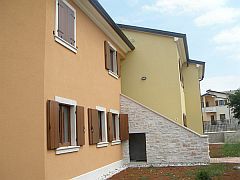 We are delighted to offer these new high specification apartments in the exclusive area of Vranici. 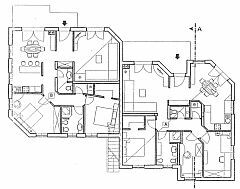 This is the second building we have been favoured with from this exclusive developer. It is currently in the final stages of completion and the photographs do not do it justice. We will post further ones when the landscaping is completed. The first building is now sold out. 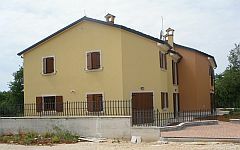 The building contains just four apartments, two on each floor. 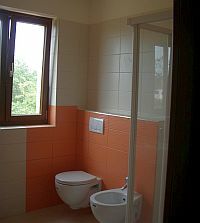 This one has one double and two single bedrooms, shower room, guest WC and seperate laundry room. The living room opens onto a terrace. There is a seperate dining kitchen. 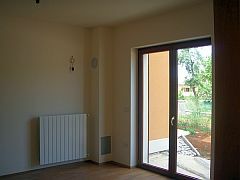 The apartment is fully air conditioned and has ample power points, as well as telephone and SAT wiring. 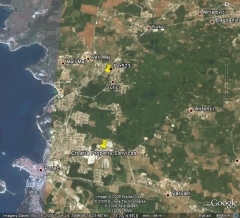 The area of Vranici is an elevated superior suburb of Porec 5 mins drive from the town centre and has excellent restaurants within walking distance. Porec is the most important tourist resort in Croatia. It gets more tourists than any other resort in Croatia, including Dubrovnik. Private accomodation booking levels, despite current world events, are actually up on 2008, as tourists look for value nearer to home. 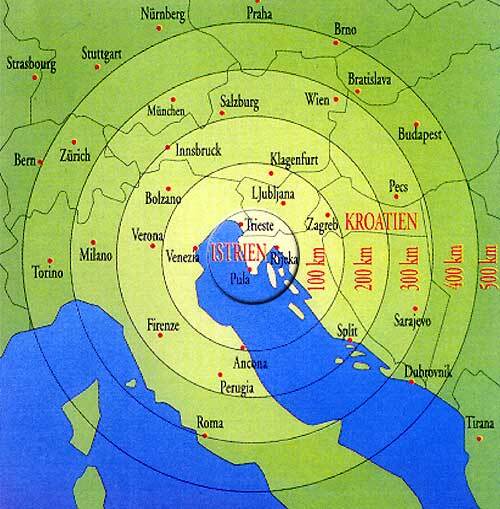 Whilst bookings further South have fallen this year, they are actually up in Istria as it is not so far to travel. This year Porec has hosted play offs in the World Handball Championship and is also hosting Davis Cup matches this year. 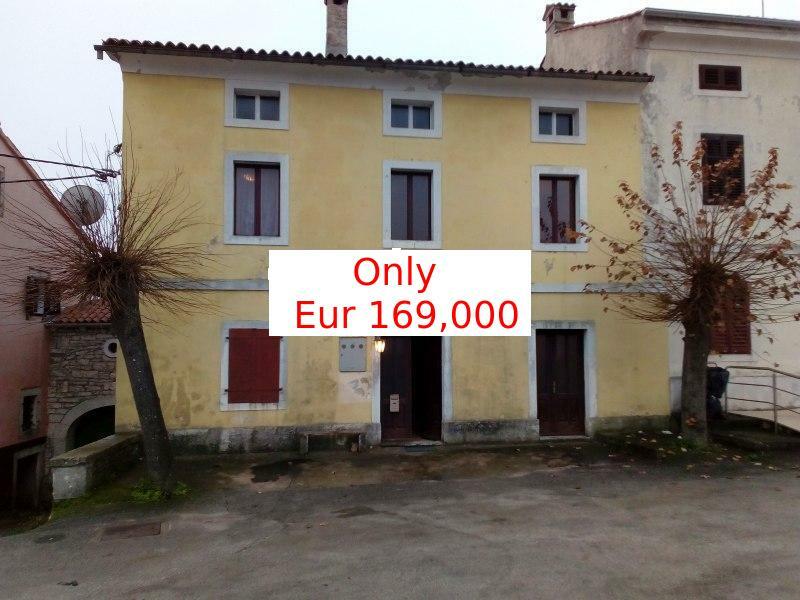 Throw in the UNESCO protected Euphrasian Basilica and huge numbers of restaurants and bars and you can see why these rental apartments are popular. 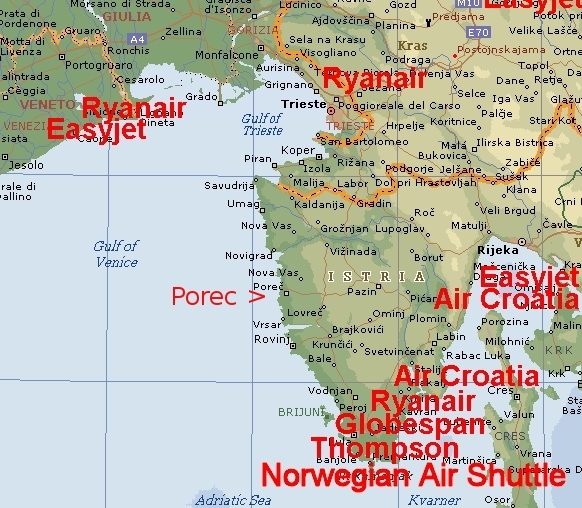 Porec is easily accessible from Pula airport, under an hour away, into which Ryanair (Stanstead), Norwegian Air Shuttle (Oslo), German Wings, Wizzair, Tuifly, Thomsonfly and several Russian operators all fly during the summer and Trieste into which Ryanair (Stanstead)fly all year round. Ryanair are also flying in to Trieste from Birmingham this year. The South side of the building with the entrance to the upper apartments. 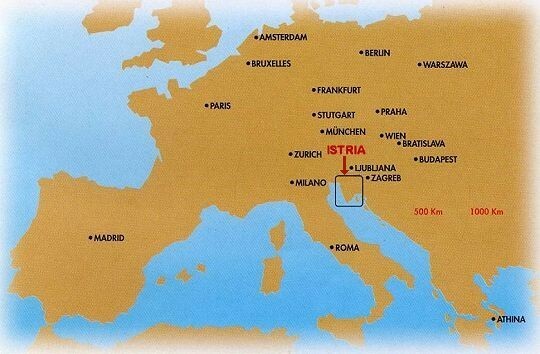 Istria - easy to get to !